Scientists equate science with change. For example, Pluto’s downsizing to dwarf planet is downward change. Feline genets upgrading to species represents upward mobility. Non-aquatic genets belong to one genus. 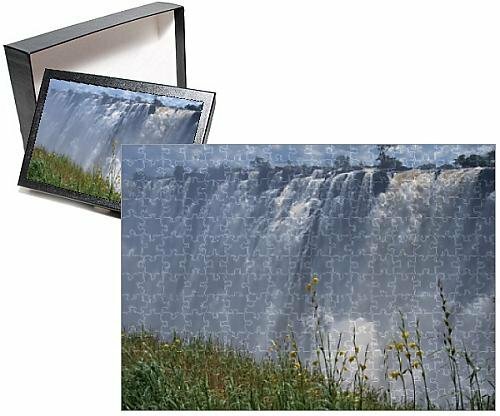 • Some experts bring forth the genus Osbornictis for the aquatic Congo fish-eating water genets that others call just another Genetta. Scientists disagree on names and status. Some names consequently find themselves classified as synonyms of standard species names while others get subordinated to subspecies status. All specialists follow the prevailing genus designation with a second, species identification and -- sometimes -- with a third, subspecies name. • For example, African – Eurasian common small-spotted genets get called Genetta genetta for being the most dispersed species. But they may be losing one of their many subspecies. • Bio-geography and biology persuade Muséum National d’Histoire Naturelle scientist Philippe Gaubert to give feline genets separate species status. Ensuing revisions updated by scientific research and technological breakthroughs. Specimen collector in South Africa, 1772 – 1775 and 1778. Carl Per Thunberg, known as "The Father of South African Botany," collected faunal, including Genetta felina, and floral specimens during his stay of 3+ years in South Africa. Catalogue ostéologique des mammifères (Catalogue of the Structure and Function of Mammal Bones) and Catalogue systématique des mammifères (Systematic Catalogue of Mammals) publisher, 1887 and 1892. Scientific consensus thus far allows feline South African small-spotted genets to constitute one of the African – Eurasian common small-spotted genet’s sub-Saharan African subspecies. But at the same time the scientific community of the twenty-first century can be characterized as open and receptive to re-examining and re-structuring older information in the light of cutting-edge technology and fresher data. One such cycle of research and revision deals with promoting feline South African small-spotted genets to their own separate species. The impetus for such a change in nomenclature and taxonomy derives from the efforts of Muséum National d’Histoire Naturelle scientist Philippe Gaubert as dissertator, publisher, researcher, and specialist on such contemporary viverrids as Africa’s and Eurasia’s genets and Africa’s oyans. Rusty-spotted panther (G. maculata): Angola, Benin, Botswana, Burundi, Cameroon, Centrafrique, Chad, Congo-Brazzaville, Congo-Kinshasa, Equatorial Guinea, Eritrea, Ethiopia, Gabon, Ghana, Kenya, Malawi, Mozambique, Namibia, Nigeria, Rwanda, Somalia, Sudan, Tanzania, Togo, Uganda, Zambia. Yearly litters of 1+ grey-furred newborns. Common, letabae, miombo, and panther genets on woodland savannahs. The montane- and rain-forests of panther genets. Popular for its iconic sandstone cliffs, with rock paintings of indigenous San (Saan) people, Golden Gate Highlands National Park also comprise grasslands, appealing habitats for Genetta felina. External similarities and geographic overlaps encouraged the assignment of Feline Genets to the status of a subspecies of the Common Genet. Deux genettes communes (Genetta genetta), parc animalier des Pyrénées, Argelès-Gazost, Hautes-Pyrénées, France. Upper-limb spots forming fragmented horizontal lines. The more ferret-looking common genets nevertheless have grey inner upper-limbs whereas the more cat-looking felines have darkened inner upper-limbs. Conclusion: A permanent promotion for Feline Small-Spotted Genets from subspecies (Genetta genetta felina) to its own species as Genetta felina? 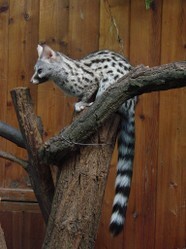 Schouteden’s genets (Genetta maculata schoutedeni). Genetta felina specimen in Berlin Museum was collected by German zoologist Paul Matschie (August 11, 1861 – March 7, 1926) under synonym of Genetta genetta bella c. 1902, with Luanda, northwestern Angola, as type locality. 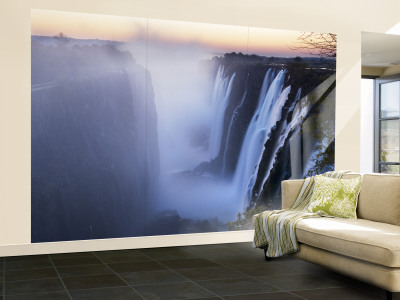 Designated in 1989 as UNESCO World Heritage Site, Victoria Falls (Tokaleya Tonga: Mosi-oa-Tunya, "the smoke that thunders"), on Zambia-Zimbabwe border, is created by Zambezi River's plummeting through first of a series of six gorges. Bisby, F.A. ; Roskov, Y.R. ; Orrell, T.M. ; Nicolson, D.; Paglinawan, L.E. ; Bailly, N.; Kirk, P.M.; Bourgoin, T.; Baillargeon, G.; Ouvrard, D. (red.). 2011. “Genetta genetta felina (Thunberg, 1811).” Species 2000 & ITIS Catalogue of Life: 2011 Annual Checklist. Reading, UK. Retrieved June 5, 2014. Boudet, Ch. 10 January 2009. "Subspecies Sheet: Feline Genet." Mammals' Planet: Vs n°4, 04/2010. Retrieved June 5, 2014. “Common Genet.” The Animal Files: Mammals > Carnivores. Retrieved June 5, 2014. Fitzsimons, F.W. (Frederick William). 1919. The Natural History of South Africa, Including Civets, Genets, Mungooses, Meerkats, Earth Wolves, Hyenas, Jackals, Foxes, Wild Dogs, Otters, Honey Ratels, Muishonds, and Sea Lions: Mammals. In Four Volumes. Volume II. London: Longmans, Green and Co.
Gaubert, Philippe; Weltz, Marjorie; and Chalubert, Antoine. 14 January 2008. “Genetta felina." Genets and Oyans. Paris: Université Pierre et Marie Curie. Retrieved June 5, 2014. "Genet." AWF: What We Do > Wildlife Conservation > Genet. African Wildlife Foundation. Retrieved June 5, 2014. “Genetta genetta felina.” Encyclopedia of Life. Retrieved June 5, 2014. "Genetta genetta felina." ZipcodeZoo: Species Identifier 643788. Retrieved June 5, 2014. “Genetta genetta felina (Thunberg, 1811).” ITIS Report: Taxonomic Serial Number 726567. Integrated Taxonomic Information System. Retrieved June 5, 2014. “Genetta genetta felina (Thunberg, 1811).” The Marine Biological Universal Biological Indexer and Organizer. Retrieved June 5, 2014. Hill, John Eric, and T. Donald Carter. 1941. "The Mammals of Angola, Africa." Bulletin of the American Museum of Natural History, Vol. LXXVIII (June 25, 1941): 1-211. Larivière, S; and Calzada, J. 2001. "Genetta genetta." Mammalian Species 680:1-6. Originally named Cabo das Tormentas ("Cape of Storms") by Cape's first known European discoverer, Portuguese explorer Bartolomeu Dias (c. 1451 – May 29, 1500), Cape of Good Hope is hailed by navigators as waypoint in southerly journey along African coast. Mira, Videos can be so enjoyably educational and enlightening about nature. Whenever possible, I include videos, but, sadly, for many of these genets little or nothing is available. The website arkive.org often includes videos but their creative commons licenses are restricted to non-commercial sharing. I agree these are fascinating creatures. I'd love to see more videos, if you could find good ones. You did include videos in some of your nature articles. South Africa's ivy-leafed geranium (Pelargonium peltatum): illustrated by Dutch botanical artist Jan Moninckx (c1656-1714), attractive to butterflies, ethnobotanical uses.